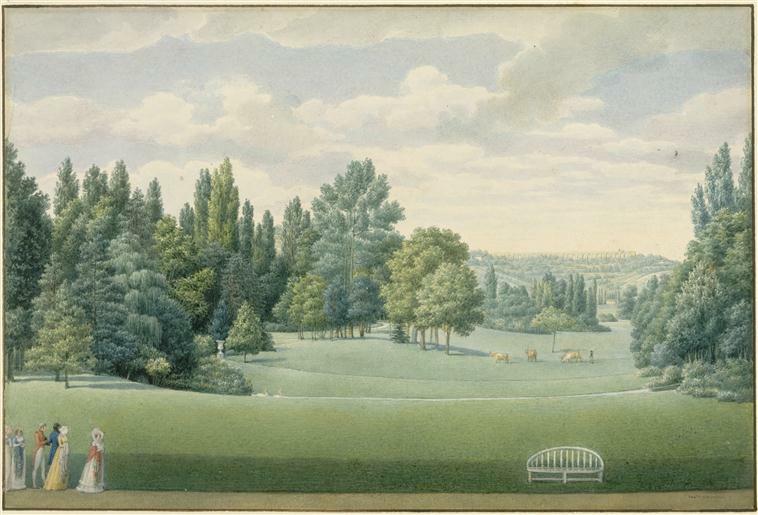 The landscape garden of the early 1700s took the English garden in a new direction. The garden assumed a less formal look, replacing it with a more natural scene, especially with the extensive lawn and curved walkways. 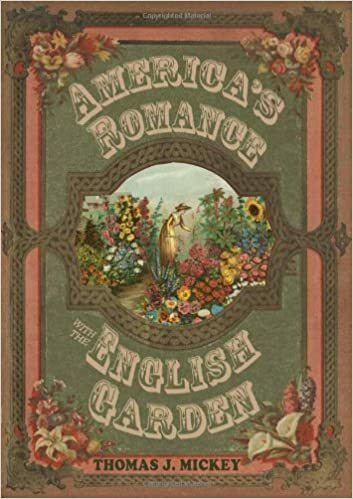 The reach of the new or modern English garden traveled beyond the shores of Great Britain. Even the French enjoyed it. 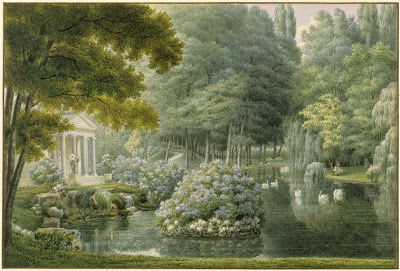 France, which had given the world the grand formal look of Le Notre’s Versailles, adopted this view of the English landscape garden at Chateau Malmaison, the country estate of Empress Josephine (1763-1814). Berthault built a little temple with six columns. 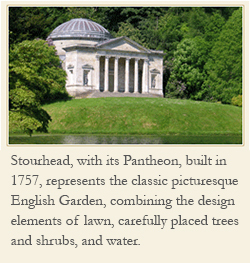 [above] To include such a temple also reflected the new English garden style as seen in gardens of the 1700s like that of Stowe and Stourhead. Josephine built her extensive botanic garden at Malmaison, introducing many exotic plants including the dahlia from Mexico. The new trees, shrubs, perennials, and annuals found a home in the perfect setting of this English garden on French soil.